Eminem has set another record, according to Billboard. With 38.1 million views in its first 24 hours, Slim Shady’s “Killshot” marks YouTube’s biggest Hip Hop video debut and its third biggest overall debut in the platform’s history. As most Hip Hop fans are aware, “Killshot” serves as Em’s response to Machine Gun Kelly’s “Rap Devil” diss track. The back-and-forth kicked off earlier this month when Em dropped his 10th studio album Kamikaze. During a recent interview with Sway Calloway, Em was on the fence on whether he’d respond to MGK. Consequently, “Killshot” came as a welcomed surprise to his fans. Since its release, MGK has been flaunting the single’s cover art at his concerts. 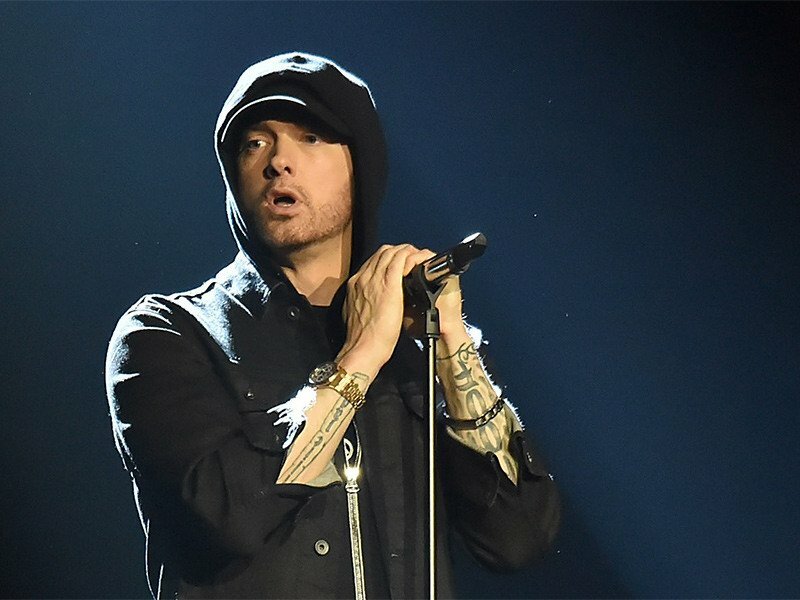 At a show in Orlando earlier this week, he allegedly tricked an entire crowd into participating in his anti-Eminem campaign while wearing a “Killshot” t-shirt.